Dr. Miller graduated and received her Doctorate from Palmer College of Chiropractic, Davenport, IA in 2003. She received her Bachelor's Degree from Knox College, Galesburg, IL and her A.S. from Carl Sandburg College, Galesburg, IL. She played basketball for both colleges. In her commitment to providing the best, up to date, safest chiropractic treatments for pregnant moms and babies, Dr. Miller has completed an Advanced Certification by The Academy of Chiropractic Family Practice. Dr. Miller is the only C.A.C.C.P. in the Charleston area and only 1 of 3 chiropractors in the state of South Carolina. The C.A.C.C.P. consists of over 200 hours of training in the fields of Pediatrics, Perinatal Care, Women’s Health and Family Wellness. She has also served as a faculty extension for Palmer College and Life University. She is Certified to perform Scoliois Screenings in schools for the Sate of South Carolina. Her chiropractic techniques include: Gonstead, Diversified, Activator, Thompson, Logan Basic, Flexion/Distraction, Cranio-Sacral, Physiotherapy and the Webster Technique. Dr. Miller is certified in The Webster Technique. The Webster Technique will assess any pelvic biomechanical dysfunction. The sacrum and supporting musculature, ligaments and joints must be free of restriction and imbalance to be ready for the birth process. The analysis includes detection of sacral rotation, and taughtness/spasm of supporting ligaments and muscles. After detection of these abnormalities, an adjustment will consist of correction of the sacral rotation and then a gentle trigger point pressure of opposite side round ligament. This adjustment will alleviate tension and restriction in the pelvis allowing for optimal balance therefore decreasing risk of dystocia. Another technique utilized by Dr. Miller on the pregnant patient is called Logan Basic. This technique can be clinically significant for reducing labor pain and helping the cervix to dilate for labor. It involves stimulation of the parasympathetic nervous system. It is essential for the mother to have a strengthened parasympathetic response to over ride the sympathetic nervous system (fight or flight response). ﻿﻿As a young teenager, Dr. Miller started seeing a chiropractor, Dr. Sam, for sports related injuries. Her father would take her in for an adjustment before basketball games and track meets. "I wasn't quite sure why my dad would take me to the chiropactor, but I always felt great and I seemed to have my best performances after an adjustment." That sparked an interest into the profession and the desire led her to Palmer College of Chiropractic. 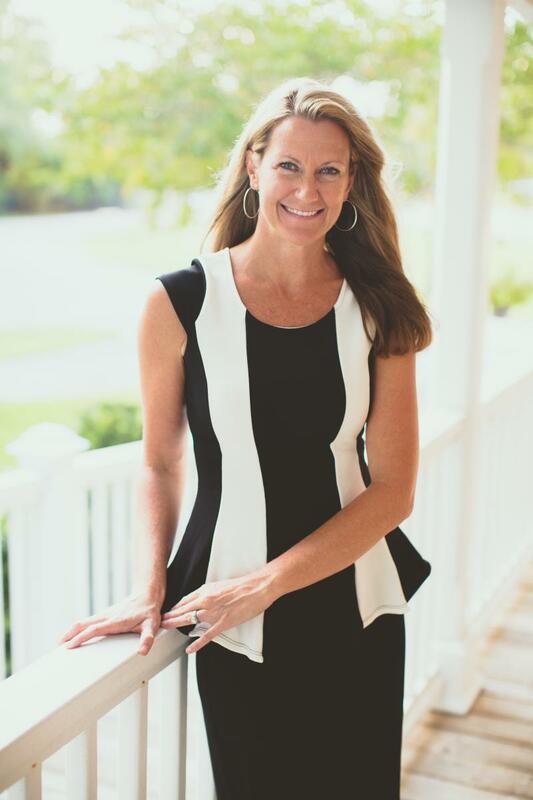 Dr. Tara Miller has been practicing in Charleston since February 2004. She opened the doors of Family First Chiropractic on December 1, 2004 with a dedication for the care of families. As a mom of two, she has a special passion for the care of women during pregnancy. "I have seen so many women benefit from chiropractic care, including myself. Our bodies are making so many physical and emotional changes. Chiropractic was the one safe thing I could do to help me feel the best I could." Dr. Miller is also trained to help with back and neck pain including disc injuries. She strives to educate patients to reduce stress, alleviate pain with structural adjustments and detoxifying the body with nutritional support. Dr. Miller also provides newborn check-ups. The birth process can be traumatic to the mother's pelvis and well as the newborn's neck and spine. Babies who were delivered via ceasarean, vacuum , or forceps should be particularly checked. She believes children should have check-ups to encourage wellness and possibly prevent future back conditions such as scoliosis, abnormal spinal curvatures or future pain.